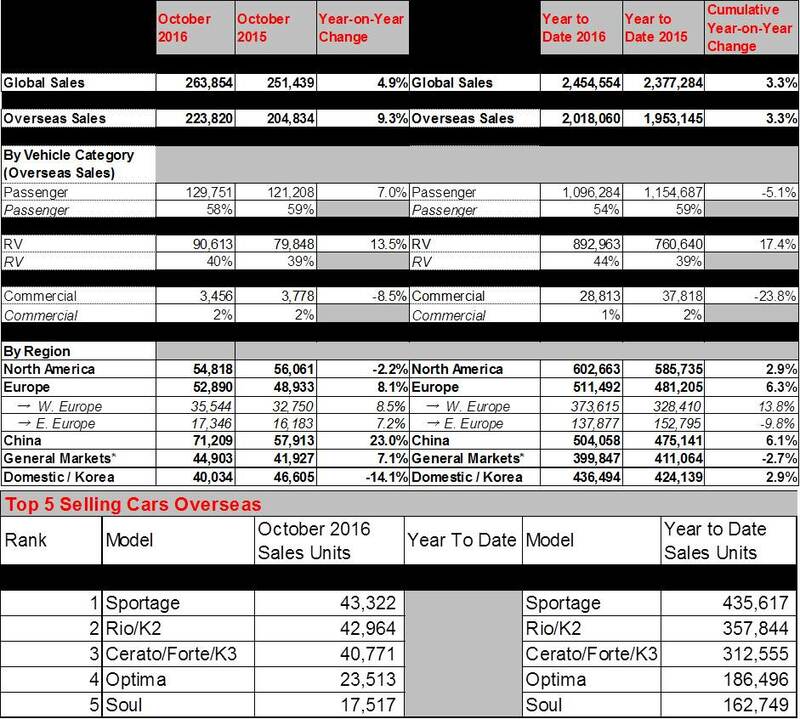 Kia Motors Corporation announced its October 2016 global sales figures (export sales, domestic sales and sales from overseas plants) for passenger cars and commercial vehicles, recording a total of 263,854 units sold. This figure represents a 4.9% year-on-year increase compared to the same month of 2015. 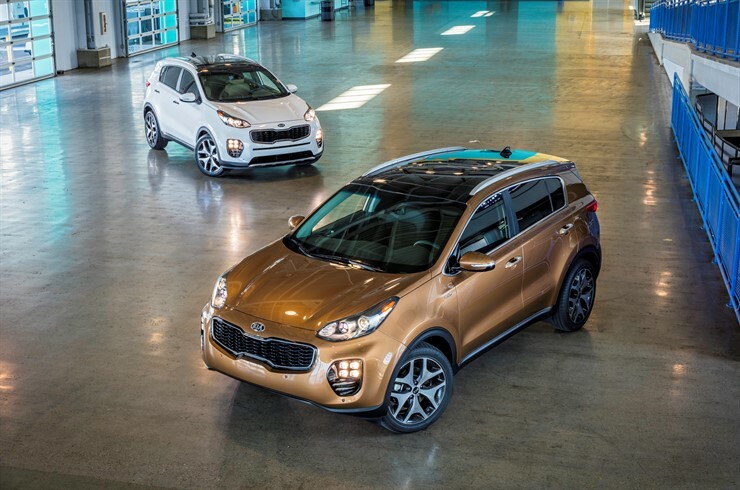 Kia’s bestselling model in overseas markets during October 2016 was the Sportage compact CUV with 43,322 units sold. The B-segment Rio (known as ‘K2’ in China) was the second best seller with 42,964 units sold, while the C-segment Cerato (Known as ‘Forte’ or ‘K3’ in some markets), Optima midsized sedan and Soul urban crossover followed with 40,771, 23,513 and 17,517 units sold, respectively.